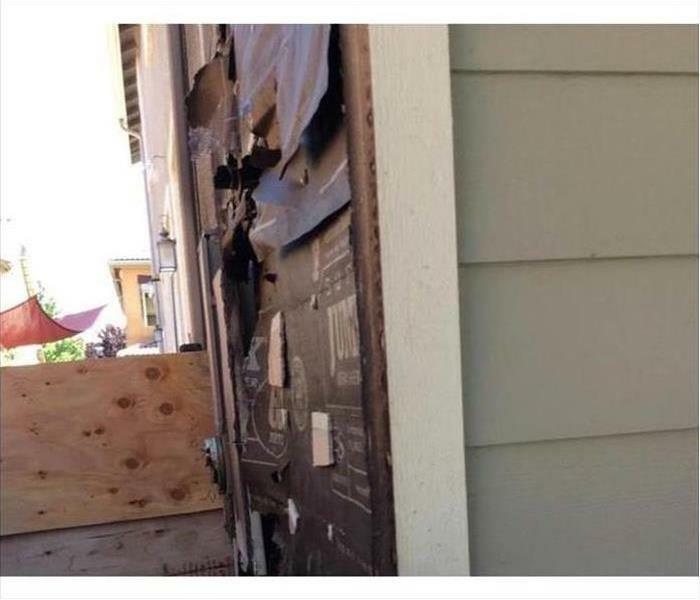 Whether insured or not, it is important for property owners to document damage with photographs or video, and immediately, to begin loss mitigation procedures themselves; or hire a qualified contractor to do this on their behalf. It is totally inappropriate to put off mitigation while waiting for an insurance claims representative to arrive on the scene to evaluate the loss. By that time, in all probability sufficient time will have passed to grow and amplify microorganisms, which may not be covered by insurance. Loss mitigation is defined by insurance policies as "reasonable and prudent measures designed to preserve, protect and secure property from further damage," including microbial growth and amplification. When a storm hits your Charleston home or business, you need help immediately. Our quick response will help prevent secondary damage and help reduce restoration costs. Call us, day or night, at 843-308-0178. We're here 24/7 to meet whatever remediation needs you might have. The water isn't noticeable in this picture but this school had a major flood throughout this hallway and the library. Fortunately, the school was out that day so we didn't have to worry about the kids when we extracted the water. 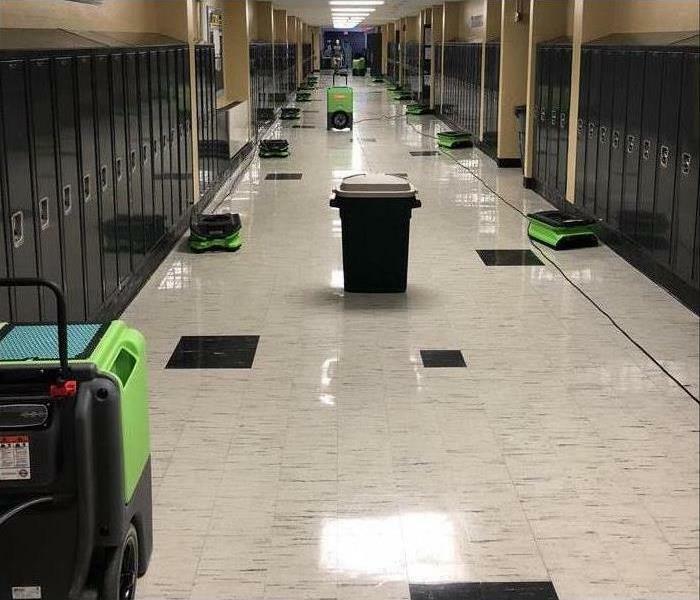 We had to get the water out and clean the floors in a timely manner so when it was time for classes to resume, the school would be ready. 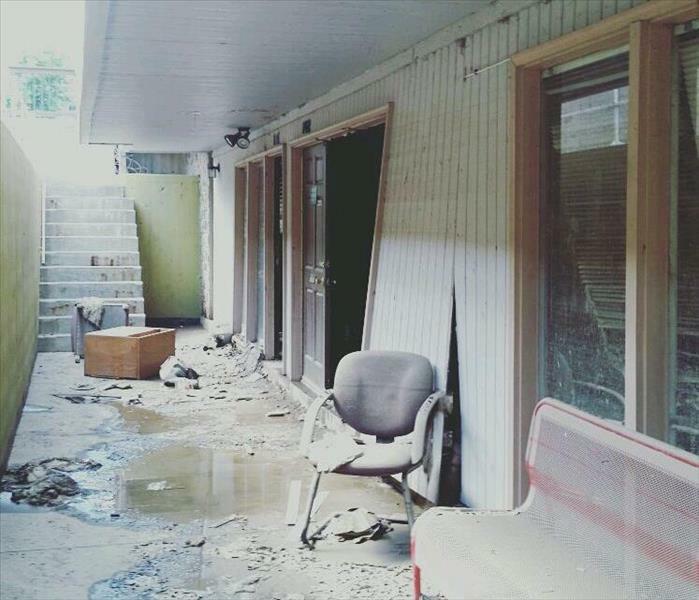 A recent storm in the area caused flash flooding and many commercial properties were hit in the path. This is the start of one of those commercial rebuilds. 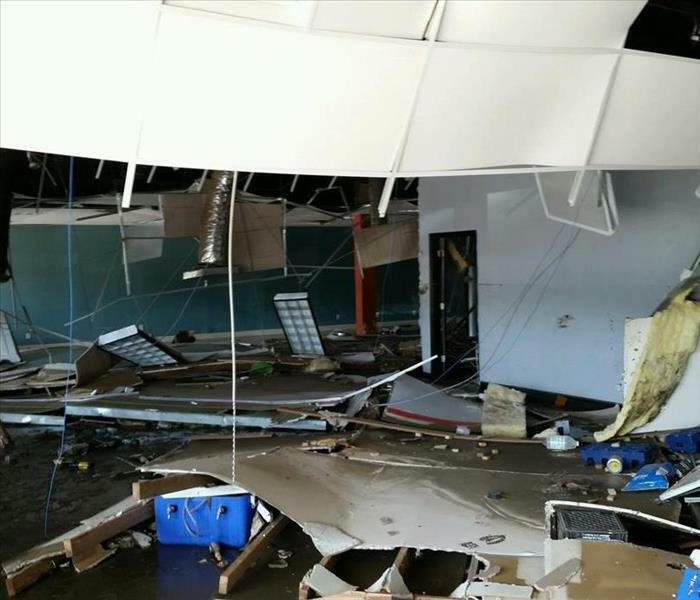 We are #HeretoHelp our community and make sure they get their business back up and running ASAP! Not only is mold ugly and scary, but it also can have negative impacts on your health. Older adults and young children are especially prone to these affects and it is important to act fast when mold is first spotted. 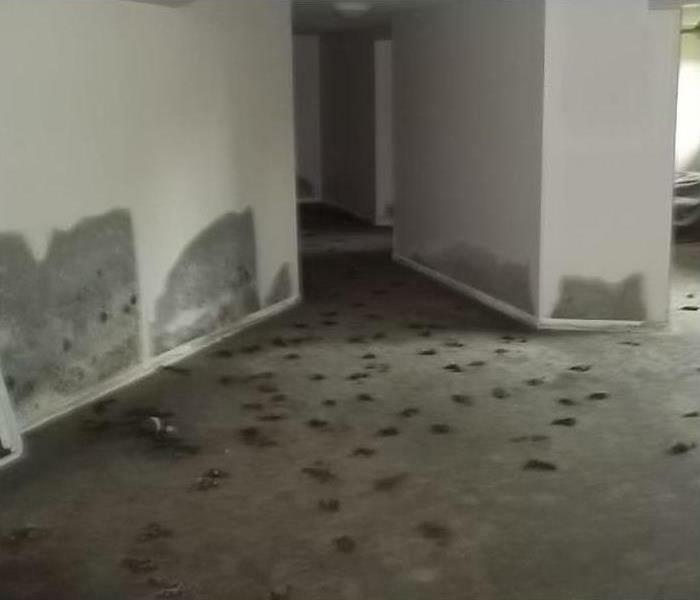 Without proper care from a certified professional, the mold can reappear and cause more stress to your family. 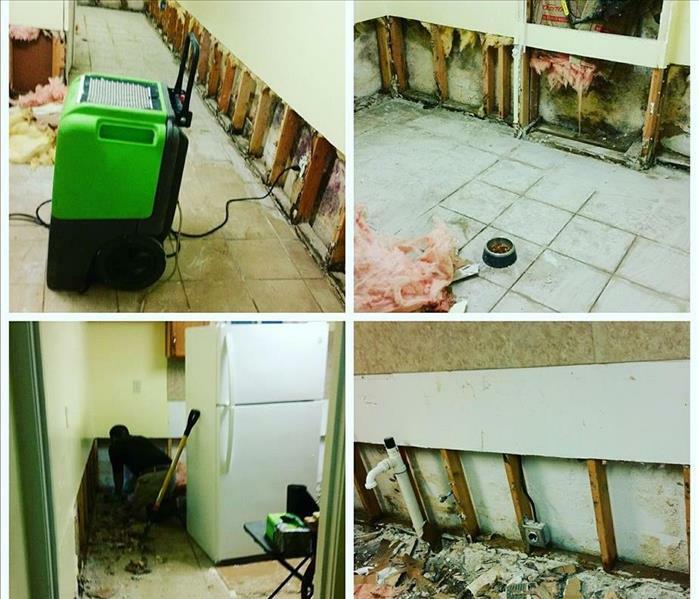 Call SERVPRO of South and West Charleston immediately to remediate the mold in your home. 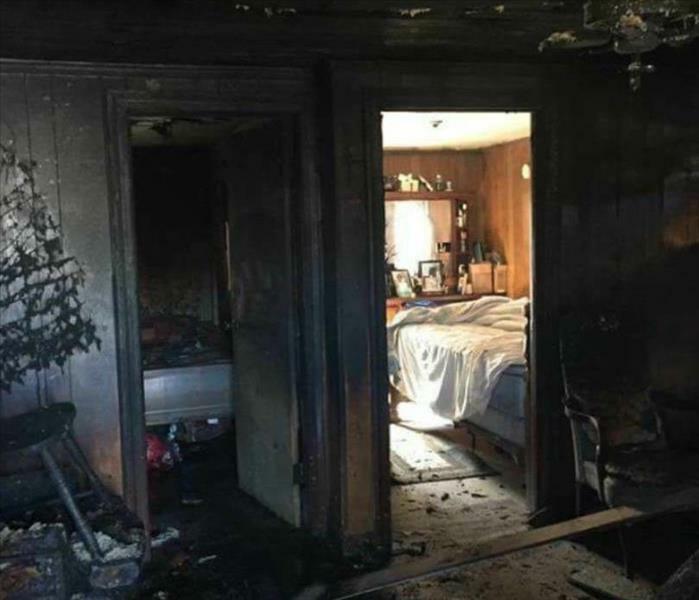 Packing out a customers home after a devastating fire, take a moment and take a quick video of your belongings so that you will have a reminder of what you have. 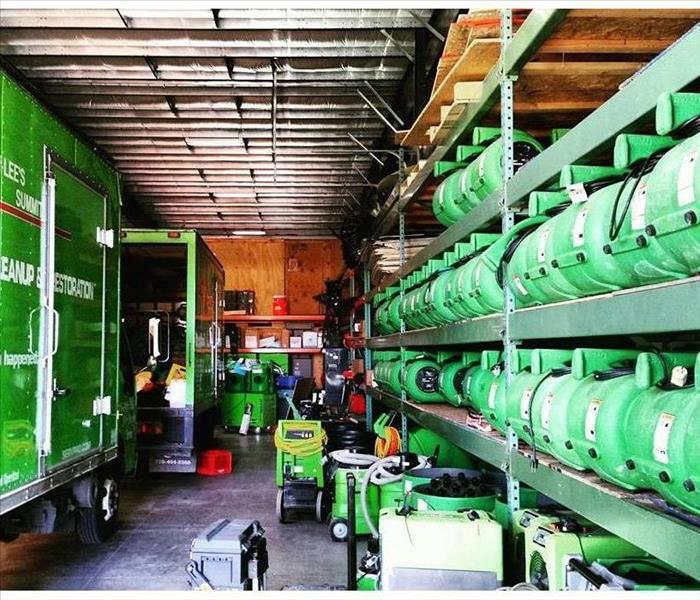 A detailed inventory is the best practice, but as the saying goes "A Picture is Worth a Thousand Words." 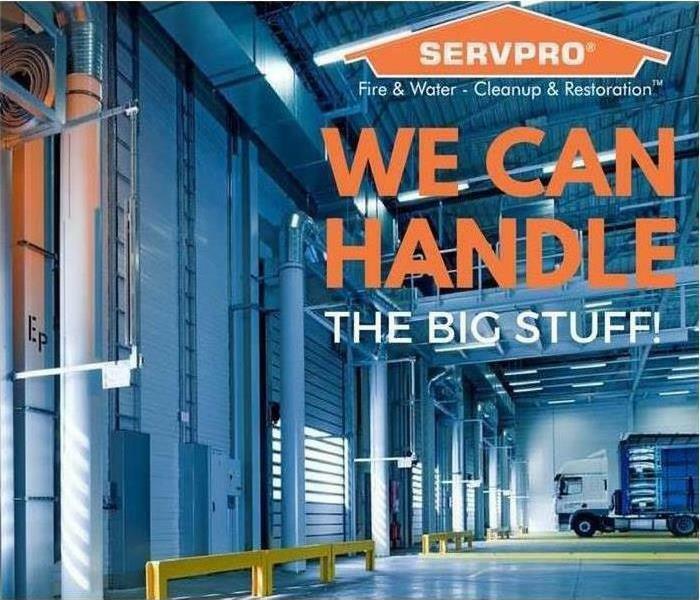 No matter how big or small the job is, SERVPRO will get the job done "Like it Never Even Happened". WE restored that unit back to its former glory and made sure the neighboring units were unharmed. 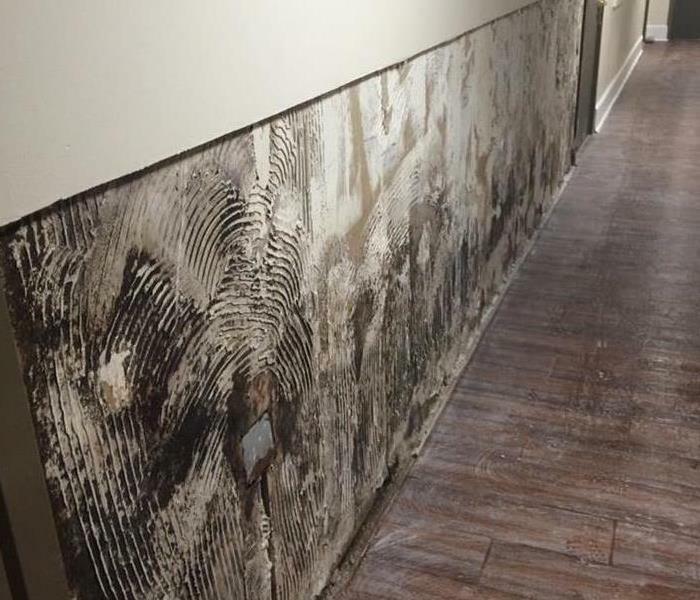 Save the mold cleaning for the professionals. 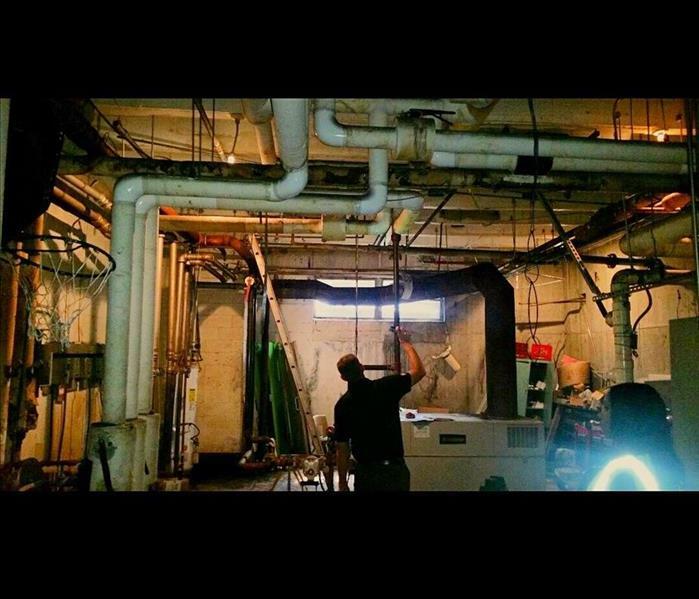 We do this everyday and can take care of your business and get you back up and running with no mold in no time. 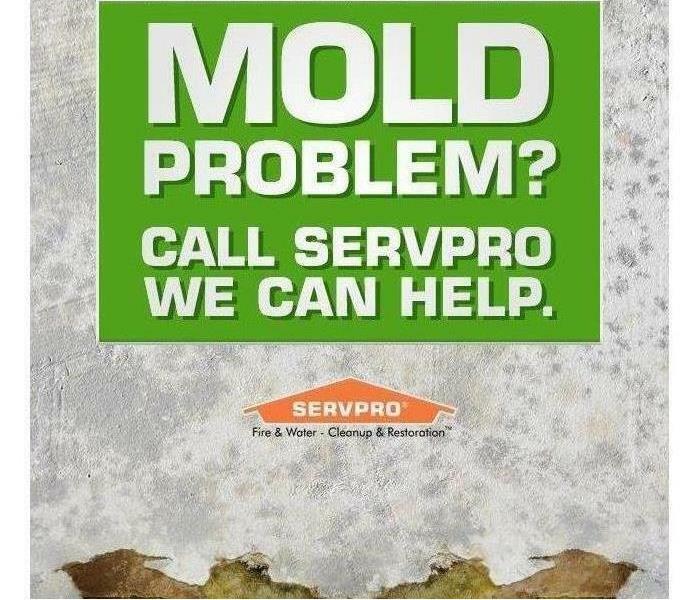 Call SERVPRO of South and West Charleston if you have any mold concerns (843)308-0178. After a huge storm hit, flash flooding occurred throughout the city. We were onsite in a moments time and were ready to take on whatever job that came to us. We are "Here to Help." Do You Work in Commercial Buildings? Another rainy week in Charleston. We have been blessed with excessive amounts of rain which means very busy days. As photographed above; this house has succumbed to the down pour and now it is time to put the pieces back together. This commercial customer has seen it all. 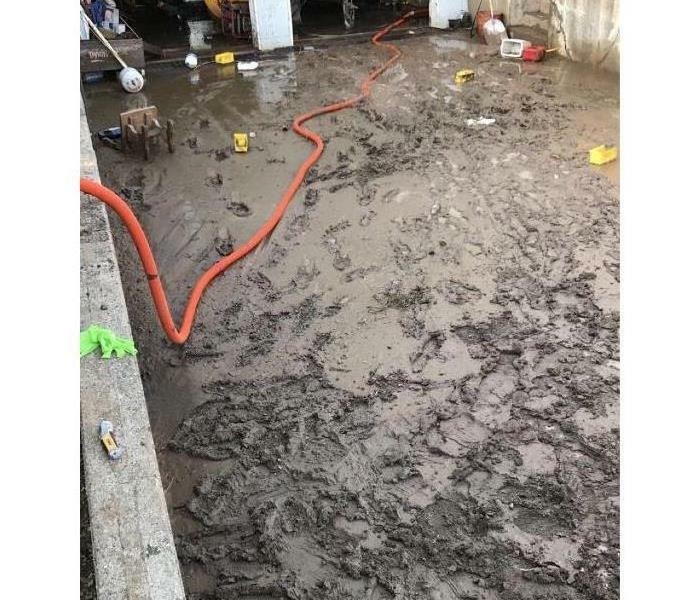 At the start of cleaning this property up, we were dealing with excessive amounts of mud and debris. Now, we finished the process of making it look brand new! 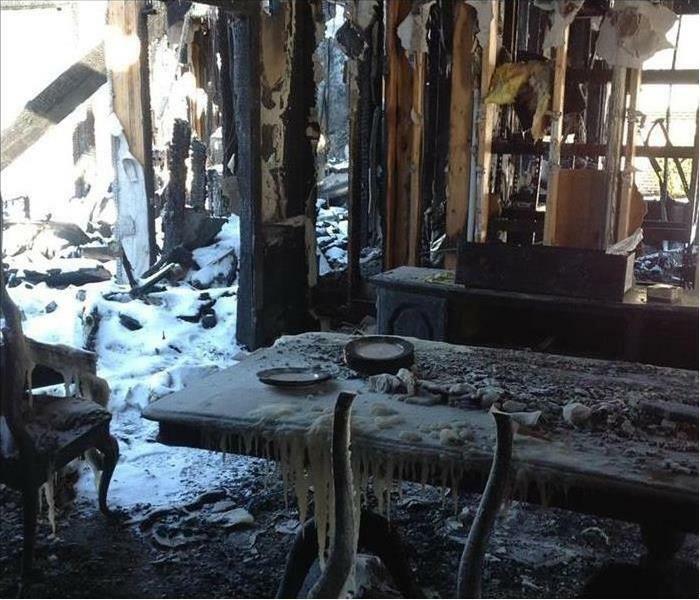 A fire fueled by plastics burns and creates smoke compounds that are ionized (electrically charged) and form these spider web looking residues. 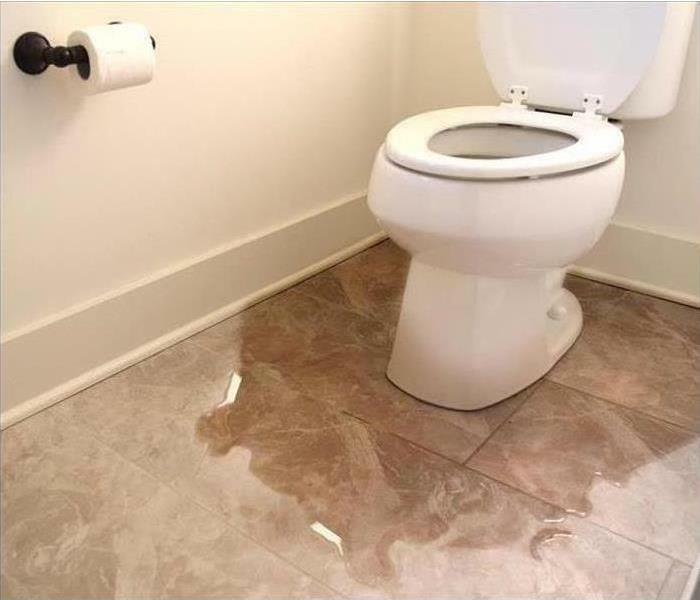 Do not be fooled; they can stain and cause a total repainting of the affected area if they are not removed professionally by our SERVPRO technicians. If you every smell something musty in your kitchen and it is not moldy food it might be mold in your walls. You may not always see it but it could be there. Mold spreads quickly, so a minor mold infestation can quickly escalate into a major problem. We're dedicated to responding immediately when you contact us. A fast response lessens the damage, limits further damage, and reduces cost. Would You Like Some Dinner? 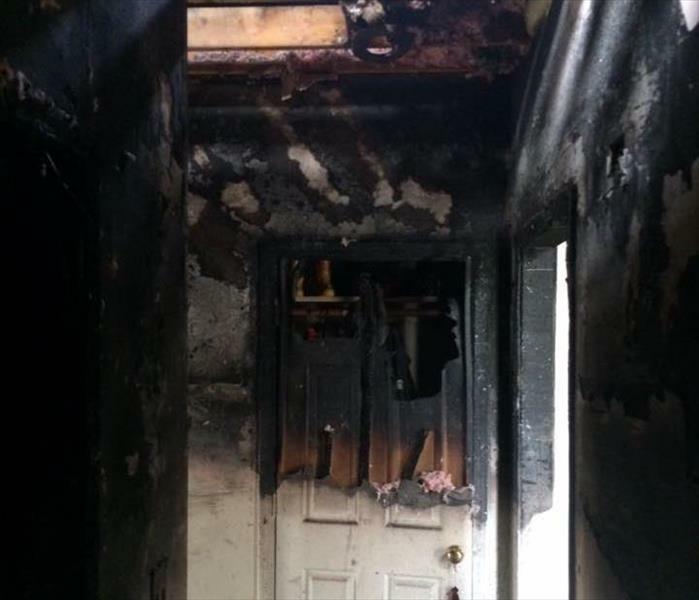 After a home experiences a fire damage it can leave the home un-identifiable. This fire was caused by cooking in the garage and the fire fighters had some challenges controlling the fire. Now that is a lot of mud! This drive way is covered with inches of mud and water from a heavy rainfall in Charleston, SC. The clean up will be messy but we will get it done. 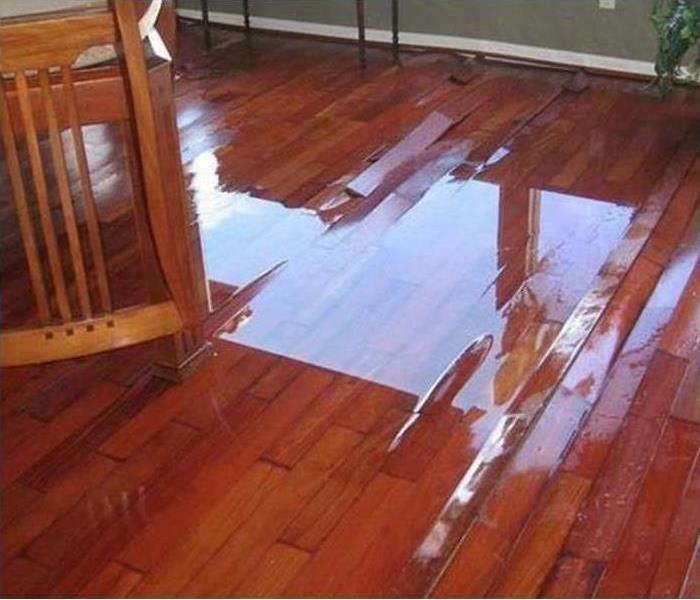 Anytime you experience a water damage to your home or business it's important to use a professional water restoration. This machine being used in the photo is a weighted exaction, use to remove water with the assistance of a rider's weight. 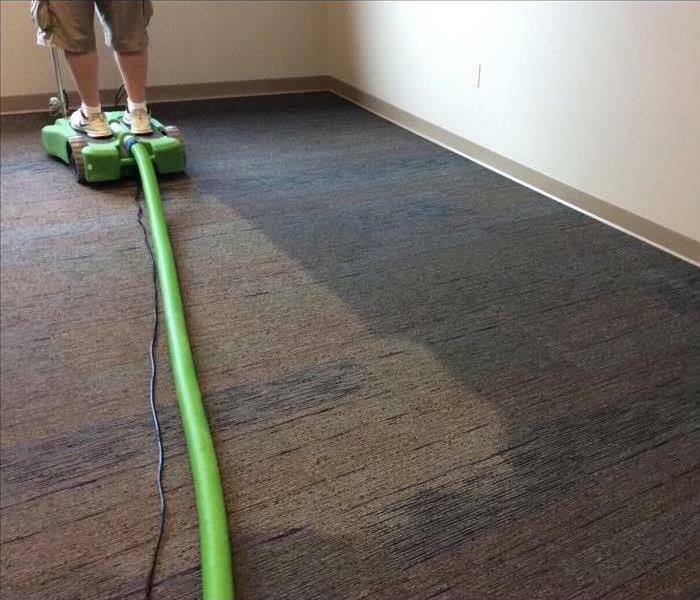 It's commonly used on highly saturated carpets and glue down carpets. This Charleston commercial property had their water main break days before it was ready to be moved in. 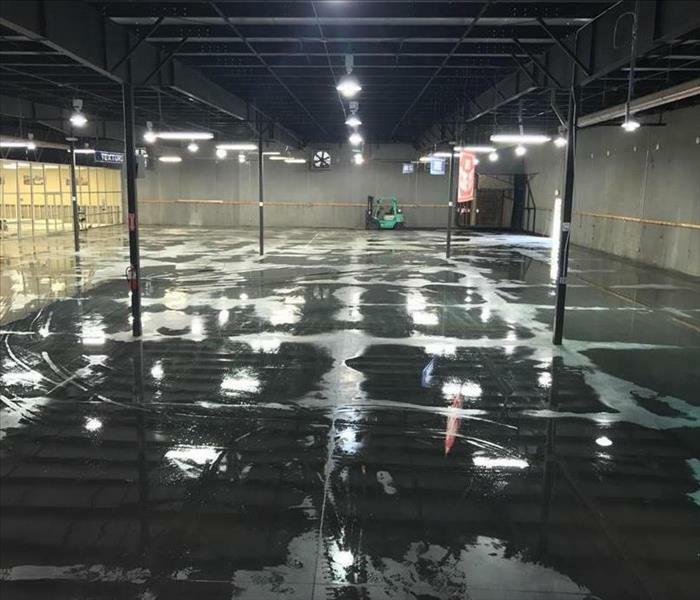 After the water was extracted it was time to let the air mover and dehumidifiers work. 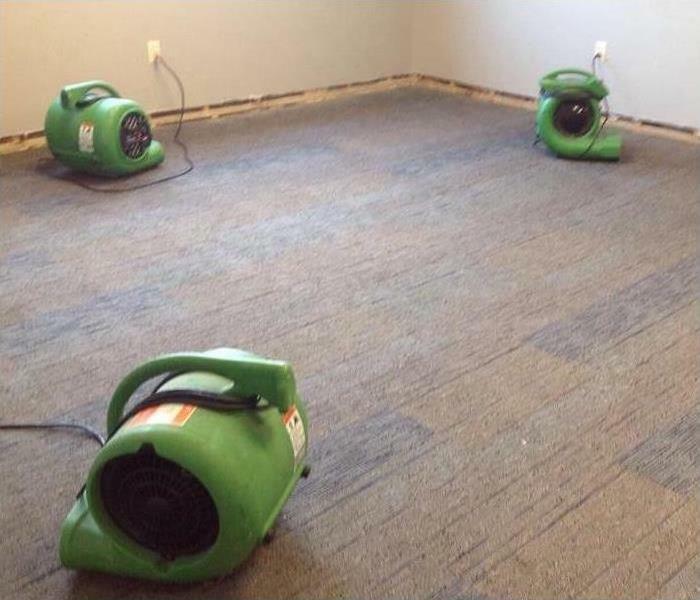 This photos shown how the professional air movers are placed to dry the area. 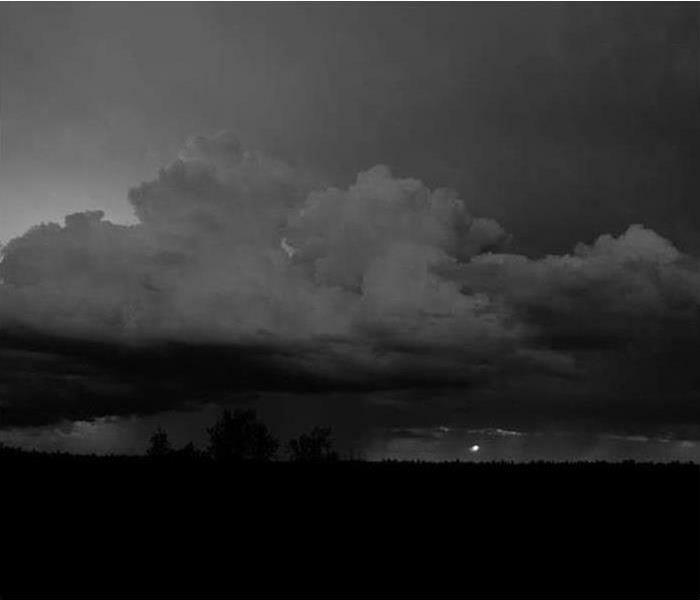 Any number of things can go wrong during a storm. 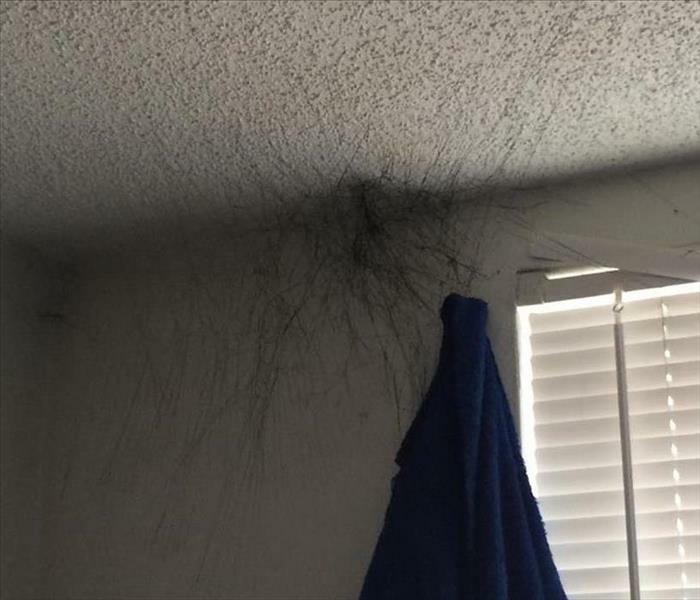 This photo shows an electrical fire caused by a lightning strike. Yes, it really can happen! 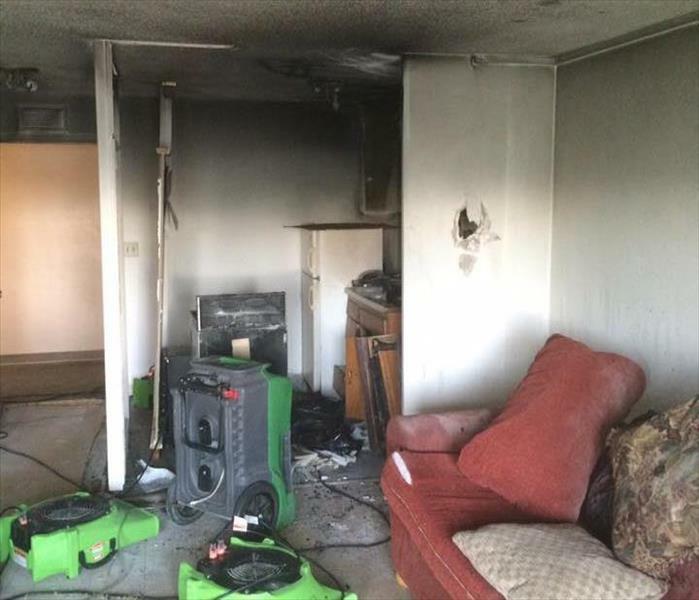 Thankfully the fire was put out quickly and minimal damage occurred. 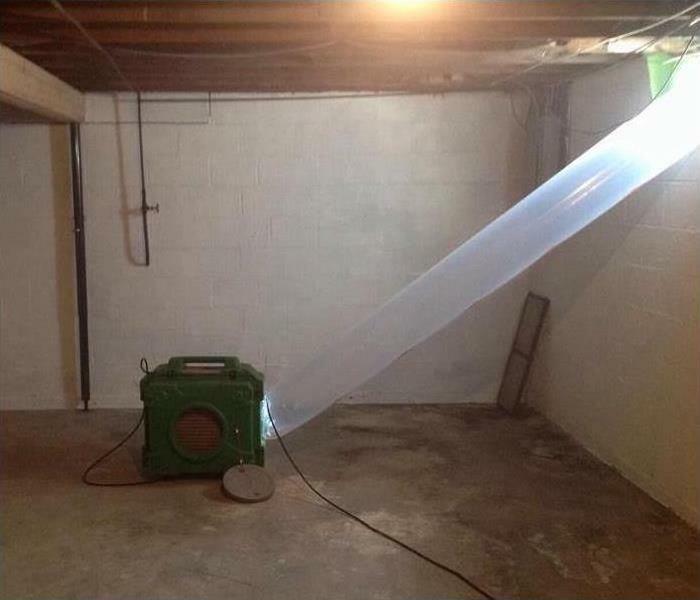 Does Your Basement Look Like This? 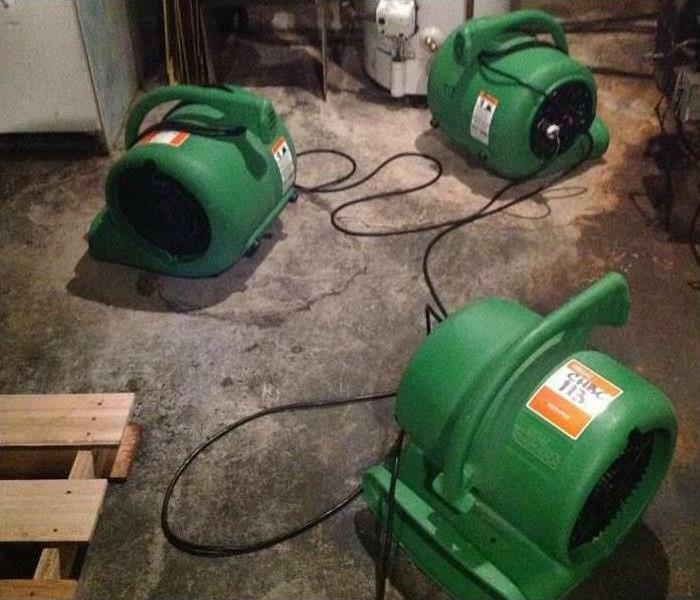 If your basement looks like this you may need to get a few things done. 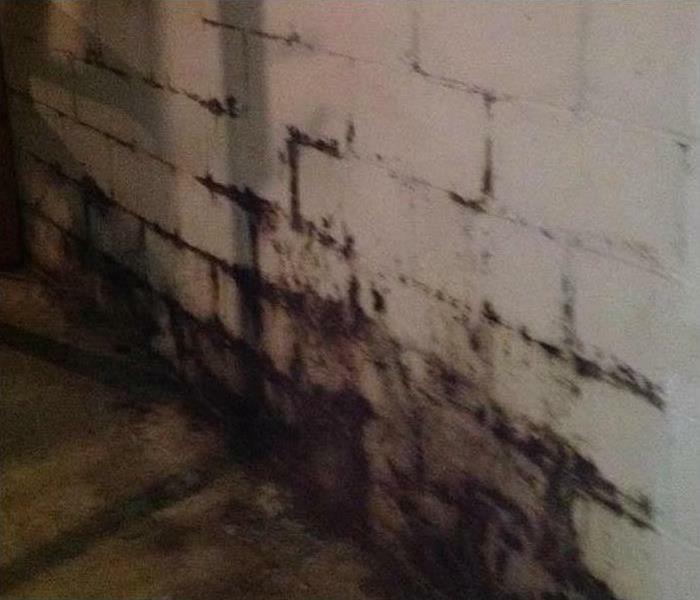 First off, there is mold growth in the basement due to a leaking foundation. Next you need to fix the source of the water intrusion. It may be the gutters, sealing the walls or general repair to the walls and floor. Water from sewer system backups should be considered very dangerous. The water is unsanitary and may contain bacteria and viruses that could cause serious illness. Special training and equipment is necessary to safely clean this type of contamination. This photo shows just how far water can spread and affect more than you think. 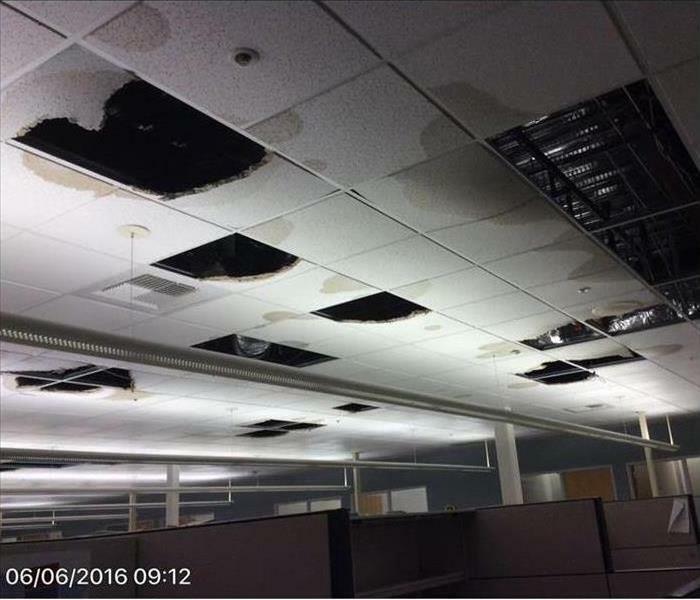 A water heater leak on the first floor caused damage to the ceiling and many cubicles on the basement floor of a business. How important is it for everyone to sleep with their bedroom doors closed? Look at the following picture. The bedroom on the right and its doors closed, the left did not. Look at the difference. Please close those doors at night. If you have to, close the kids doors after they fall asleep. It could mean all the difference. A lot can go wrong during a heavy down pour and high winds. Flooded basements, leaky roofs, and flooded crawlspaces are all likely situations after a storm. 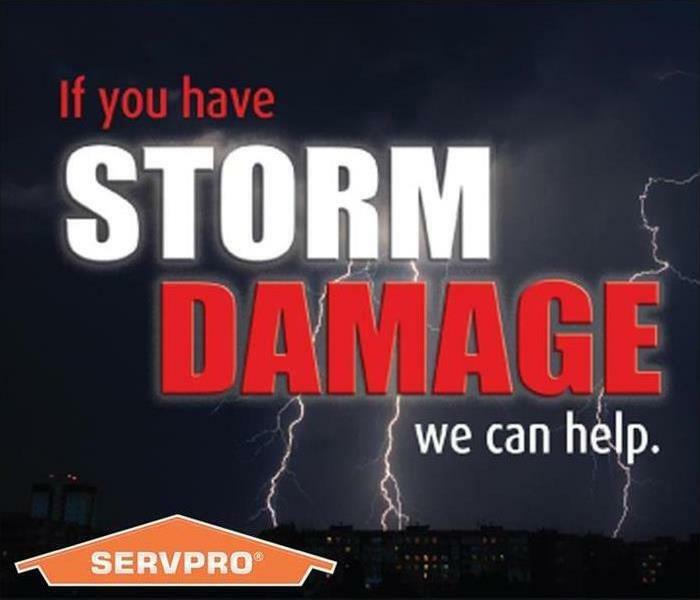 SERVPRO of South and West Charleston has the experience to handle any time of water damage that can affect your home or business. 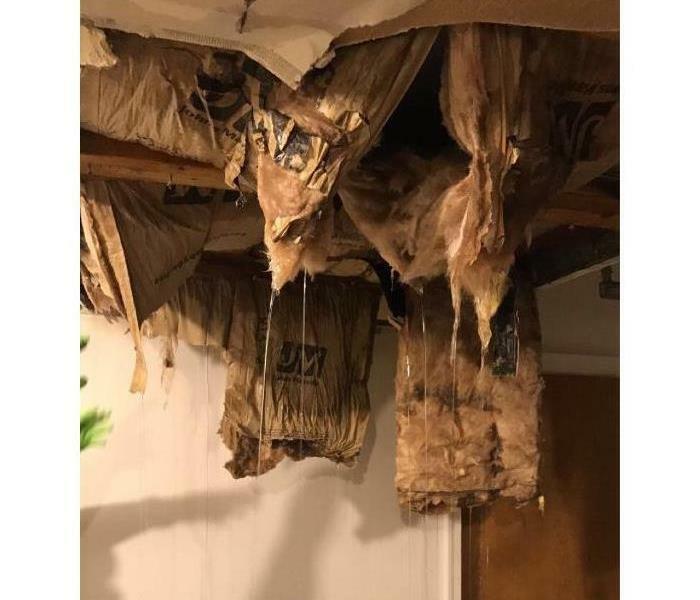 If a tree falls on your roof, our team will quickly respond to tarp it up, extract the water, remediate the damage, and even put it back together! 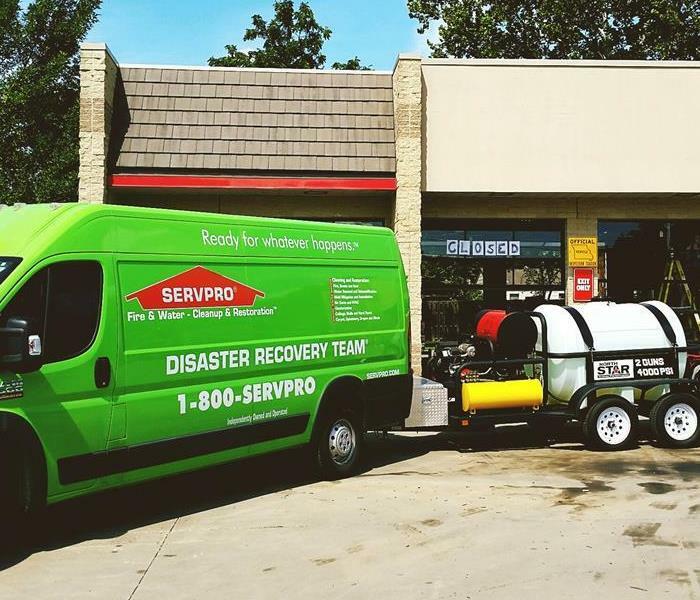 SERVPRO of South and West Charleston is a one-stop shop after a storm blows through.